In light of a recent decision by the Illinois First District Appellate Court, Illinois employers should support their non-competition agreements with consideration that goes beyond merely the fact of employment. Exactly what consideration will suffice as adequate consideration to support enforceability of the restrictive covenant, however, is not entirely clear in the wake of the appellate court’s decision. What is clear is that in the First District – that is, Cook County – Illinois state courts will not enforce non-competes unless the employee worked for the employer for at least two years or if the employer offered some other valuable consideration that is tied specifically to the non-compete. Previously, Illinois employers could argue that the fact of employment for a certain “substantial” period of time constituted adequate consideration to support a non-competition agreement. In Fifield v. Premier Dealer Services, Inc., however, the First District Appellate Court held that two years of employment constitutes adequate consideration to enforce a non-compete, no matter if the employee signed the restrictive covenant as a condition to her employment offer or if the employee voluntarily resigns her position. Any employment length shorter than two years is not adequate consideration, unless some other consideration was provided to the employee. The court did not, however, offer any guidance for what constitutes adequate “other” consideration for a non-compete when an individual’s employment terminates before that individual has worked for at least two years. Rather, the Fifield court merely held that the non-compete entered into between the plaintiff and the defendant in that case was not enforceable where the plaintiff resigned his position with the defendant after three-and-a-half months and where the defendant did not offer any other consideration to the plaintiff at the beginning of his employment. So, in the wake of Fifield, employers in the First District seeking to enforce non-competes likely can only do so on the basis of substantial employment if the former employee worked for the employer for at least two years. If the employee worked for less than two years before parting ways with her employer, the non-compete may only be enforceable against her if her employer offered her some other, additional consideration at the outset of her employment. The First District Appellate Court’s decision in Fifield is inconsistent with decisions by the other Illinois appellate courts regarding what consideration is necessary for the enforceability of non-competes. The Illinois Supreme Court, however, chose not to provide any guidance on this issue when it denied, without any explanation, the Fifield defendant’s petition for leave to appeal. As a result, Illinois employers do not have clear guidance for what consideration they must offer employees to ensure enforceability of non-competes. Illinois state courts, and federal courts interpreting Illinois law, presented with this issue post-Fifield have taken different approaches. In January 2014, the Federal District Court for the Northern District of Illinois declined to follow Fifield when considering whether a former employee was given adequate consideration to enforce her non-compete where she left her position with her former employer after 15 months of employment. In that case, Montel Aetnastak Inc. v. Miessen, Chief Judge Castillo specifically commented that the Illinois court holdings were contradictory on the topic of adequate consideration for non-competes and that the Illinois Supreme Court did not provide clear direction for what type and amount of consideration were adequate. Instead, Judge Castillo decided to employ a fact-specific approach in determining that the former employee was provided adequate consideration, in the form of a “substantial period” of employment of 15 months, to support the enforceability of her non-compete. (The court ultimately held that although the consideration was adequate, the terms of the non-compete itself were deficient, and so declined to enforce the employment agreement containing the non-compete.) In contrast, in May 2014, former Chief Judge Holderman of the District Court for the Northern District of Illinois declined to follow Montel and instead followed Fifield in holding, in the case Instant Tech., LLC v. Defazio, that there was inadequate consideration to enforce the restrictive covenants of former employees who were employed for less than two years by their former employer. In choosing to follow Fifield, Judge Holderman predicted that the Illinois Supreme Court, whenever it addresses the issue, would not deviate from the existing doctrine that a “substantial period” of employment is two years or more of continued employment, for purposes of establishing adequate consideration for a non-compete. The court also commented that at least two Cook County Circuit court decisions, Vapor 4 Life, Inc. v. Nicks (a December 2013 decision) and Klein Tools, Inc. v. Stanley Black & Decker, Inc. (an October 2013 decision), have followed Fifield’s “bright-line” rule of two years as constituting adequate consideration for a restrictive covenant. Judge Holderman noted that the employer in Instant Tech. did not prove or even argue that the employees who held their jobs for less than two years received any additional compensation or other consideration. The court did not, however, comment on what other consideration may suffice to support enforceability of a non-compete. The Illinois Appellate Courts have remained largely silent on the implications of Fifield. For example, in February 2014, the Second District Appellate Court did not even mention Fifield when it held, in Critical Care Systems, Inc. v. Dennis Heuer and IV Solutions, LLC, that the former employee’s non-compete was unenforceable. It also did not consider whether the former employee’s 19 month employment period was adequate consideration, or whether there was any consideration at all for the non-compete. Instead, the court focused on the whether the non-compete was reasonable, and looked at the totality of facts and circumstances of the case before it to determine that there was not a legitimate business interest to support enforceability of the restrictive covenant. The fact that a sister appellate court did not discuss consideration or the Fifield decision may be telling, and may provide a basis for the Illinois Supreme Court to take up the issue in a future matter. 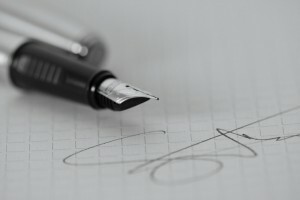 Because there is no clear guidance from the Illinois Supreme Court on what constitutes adequate consideration for a non-compete, and based on the differing approaches of Illinois state and federal courts on this issue, employers should be proactive in crafting and negotiating non-competes with their employees. Employers should also be creative in proposing different types of benefits to prospective employees, such as offering stock options or other financial benefits specifically tied to the restrictive covenant of an employment agreement, so that they may be viewed favorably as adequate consideration to support the non-compete. Although it may be unknown whether the consideration offered will be sufficient consideration for a non-compete, engaging in the process of negotiating the terms of a non-compete may benefit an employer who later finds itself wanting to enforce that restrictive covenant.